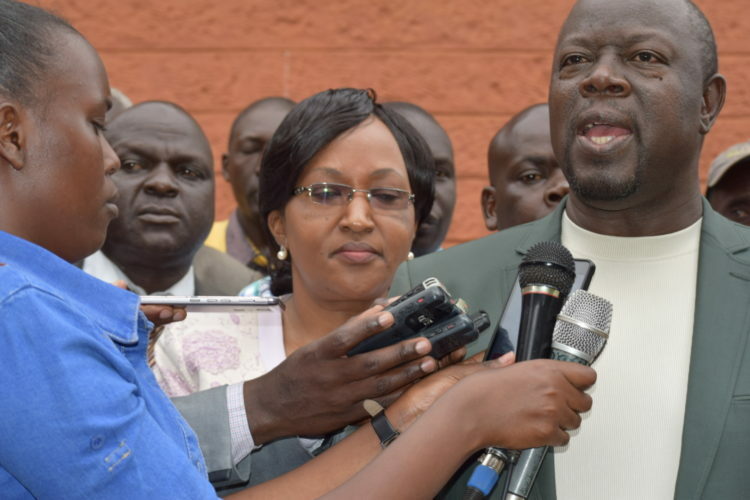 Trans Nzoia Governor Patrick Khaemba has urged the state to disband the current National Cereals and Produce Board (NCPB) and form another one that will look into the plight of farmers. Speaking in Kitale when he held a meeting with farmers, the Governor said the board has been infiltrated by brokers who are taking advantage by selling their produce at the expense of farmers. He proposed to the national government to locate more money to a newly formed NCPB so that it can procure fertilizer directly from industries, as opposed to the current process, where reliance has been on a few individuals who’ve taken advantage by importing fertilizer and sell it at exorbitant prices to farmers. On his part, the Strategic Food Reserve chairman Noah Wekesa who urged farmers to register with the County administration before the NCPB stores open, so as to ascertain genuine farmers who’ll deliver the maize to the board. The farmers expressed fears of cheap maize flooding the market after the delayed opening of NCPB store, adding that the high cost of inputs has made maize farming an expensive venture. They said the cost of maize seed fertilizers is high and should be dropped, “We want the government to help bring down the prices in a bid to make farming affordable,” said David Sitienei. Kwanza MP Ferdinand Wanyonyi said farmers have been discouraged by a lack of market for maize and challenged the state to address the plight of farmers. He, however, appealed to the government to increase the maize purchase from 2 million bags to 4 million bags, stating that the set number will leave out some farmers. The Kwanza MP supported calls to fast track reforms at NCPB to enhance efficiency at the board. He encouraged farmers to enhance conservation agriculture to reduce production cost, improve yields and mitigate climate change.